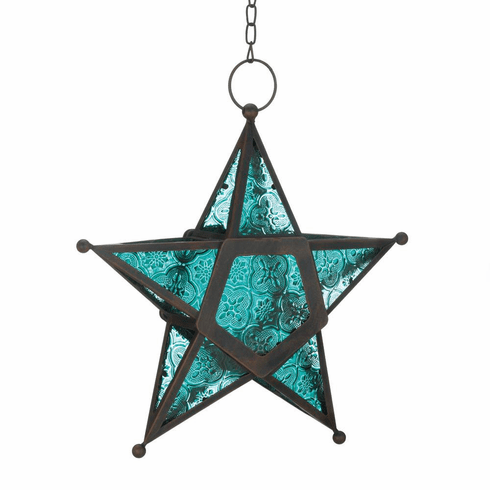 Add a candle to this five-pointed star to fill the night with celestial light! Artistic hanging lantern features ornate panels of deep ocean blue glass set into a wrought-iron frame. Weight 0.8 pounds. 10.2" x 3.5" x 9.5". Iron, Glass. UPC Number: 849179029074.